Welcome to The Ginger Pirlo. The Maestro of football blogs. Weird transfer XI – Some shockers in here! GK: Edwin Van Der Sar – Juve to Fulham. The whole thing was just weird. Clearly too good for them. Eventually made his move to Man U and won it all. What’s unreal is he was at Fulham for FOUR years. What a total waste of time. RB: Mat Debuchy – Newcastle to Arsenal. May not seem that weird but as a Newcastle fan, we couldn’t believe Arsene Wenger paid us twice as much as we did for him, to take him off our hands. He’s done nothing at Arsenal and none of us are surprised. Weird. CB: Laurent Blanc – Inter to Man Utd. Seriously this one was weird for the entire time he was there. He was clearly too old and contributed to Fergie’s worst ever season in the Premier League. So ridiculous. CB: David Luiz – PSG to Chelsea. This one was weird right? No-one could understand it. He then helped them win the league. So weird. He’s now not in the team. Not so weird. LB: Mikael Silvestre – Man Utd to Arsenal. I found this one just very strange. I couldn’t get my head around it. Fergie never sells to a rival, so he must have been past it, but he wasn’t that bad, which made it all just weird. CM: Thomas Gravesen – Everton to Real Madrid. Has there ever been a weirder permanent transfer? He actually played as well. Twilight zone. CM: Edgar Davids – rocks up at Barnet. This wasn’t a transfer and he was player-manager (kind of) but come on. 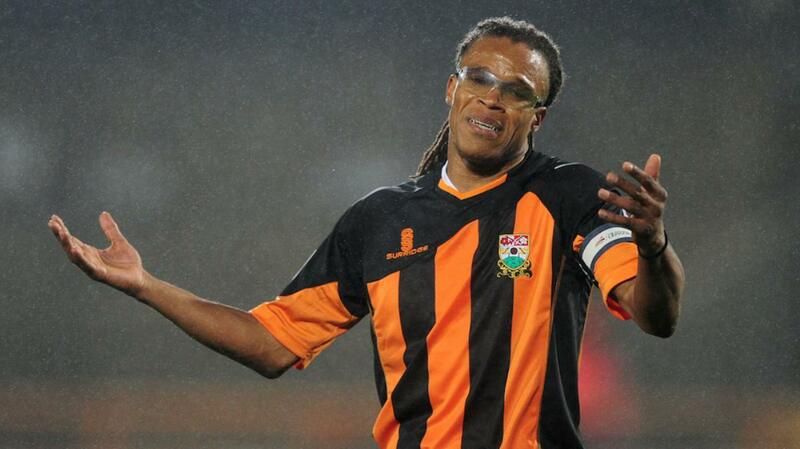 Edgar Davids playing for Barnet? Weirdo. CM: Ivan Campo – Real Madrid to Bolton. I could have put Fernando Hierro in this team or even Djorkaeff but Campo was still in his prime and had only recently stopped polishing his Champions League medal. He would spend six years at Bolton. Six. FW: Nicolas Anelka – Fenerbahce to Bolton. PSG, Arsenal, Real Madrid, Man City, Fenerbahce, Bolton, Chelsea, wait what? If Anelka were to go for a job interview, he would need to explain the gap in his CV for that 2-year spell at Bolton Wanderers. How? Why? FW: George Weah – Milan to Chelsea. This was just weird. It’s like it never happened but it did and I for one can’t forget it. George Weah was a mirage, a mysterious idol to be watched only on Football Italia, winning World player of the year. Not struggling to play up front with Chris Sutton. No. No. No. FW: Ian Rush & John Barnes – Leeds & Liverpool to Newcastle. First off, these are two players so technically makes my XI a 12 man team. However, they came at the same time and given their ability at their respective ages, they just about make up one players worth. 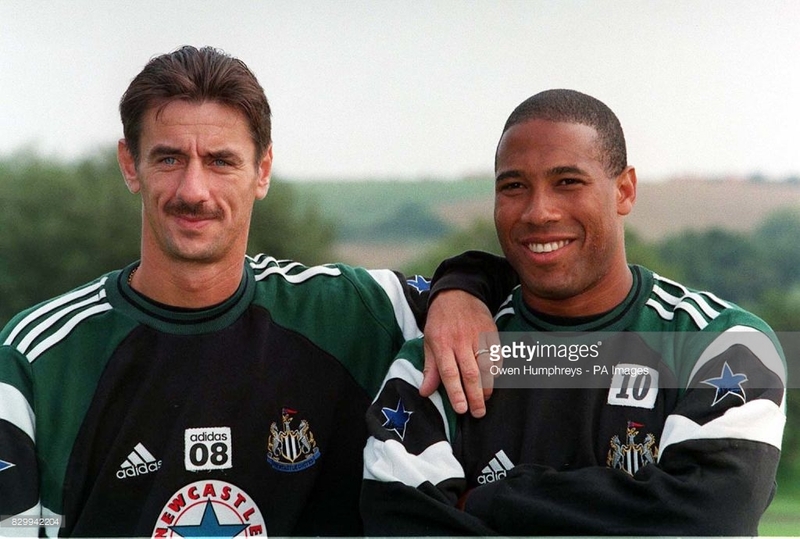 As a Toon fan, I watched Kevin Keegan sign Ferdinand & Ginola in 1995 and almost won us the league. I then saw Kenny Dalglish sell them both in 1997 & replace them with over the hill Ian Rush & John Barnes. What? I know they say ‘sign what you know’ but this destroyed our team and put the club back for years. Perhaps forever. Why Kenny? Why? Utter nonsense. Author The Ginger PirloPosted on February 6, 2018 February 6, 2018 Tags AC Milan, Arsenal, Bolton Wanderers, Chelsea, Everton, Inter Milan, Keegan, Liverpool, Manchester Utd, Newcastle Utd, Premier League, Real Madrid, Spurs, Wenger, West HamLeave a comment on Weird transfer XI – Some shockers in here! Who Is The Best Left Back In The Premier League? The young Englishman was in fine form last season and helped the Hammers qualify for Europe. This campaign hasn’t been as fruitful for West Ham or Cresswell in general, as they didn’t even get through the qualifiers to get into the Europa League and Cresswell is yet to register a goal this season. He has all the potential to a top left-back for years to come, though however, and many feel he should be in the England squad on a regular basis. One of the most underrated players in the Premier League. Outside of Jermain Defoe, Van Aanholt has been Sunderland’s second most dangerous player in attack…and he’s a left-back. He already has 3 goals to his name this season and has chipped in over the past couple of seasons which has been instrumental in keeping Sunderland a top flight team. He has ironed out those defensive mistakes significantly also, and this is why Sam Allardyce wants to spend big money on him and take him to Crystal Palace. Many people reading this will say ‘No.2? What?’ but it’s true. Daniels is an outstanding left-back and arguably the most talented on the ball going forward. He has been a key man in Bournemouth’s epic rise and is one of the first names on the team sheet every week. He got 4 goals last year as well as many assists as he is always an option flying down the left-wing, but also responsible for the defence. He already has 3 goals this season and will no doubt add a few more before May. Only his age and lack of pedigree have prevented him from getting an England call-up because he was, in my opinion, the best left back in the league last season. I get to see this kid week-in-week-out which also helps my knowledge of him and he really is that good. His goal against Arsenal this season was an impressive walk in the park for Daniels. Author The Ginger PirloPosted on April 20, 2017 May 4, 2017 Tags Aaron Cresswell, AFC Bournemouth, Charlie Daniels, Danny Rose, Patrick Van Aanholt, Ryan Bertrand, Southampton, Spurs, Sunderland, West HamLeave a comment on Who Is The Best Left Back In The Premier League? Marseille are ambitious but naive by making a bid for Payet. He isn’t remotely interested in moving back to France at this stage of his career. Arsenal are the club that are (should be) at the forefront for his signature taking everything into account. The Giroud partnership we all know works like a treat with France and should be the same at The Emirates. Sanchez attitude at the minute is disgraceful and cant be relied upon to play on that left hand side week in, week out. Plus Iwobi isn’t exactly a world beater. If Arsene Wenger is serious about winning the title he has to bring in Payet to slot into that left wing role and have a real go for the second half of the season. The team as it is clearly wont win the league so bringing in Dimitri Payet could be the inspiration they need to turn from top 4 also rans to Champions of England. Payet’s age of 29 shouldn’t be a factor as Wenger has lost many titles over the years by sticking with the kids and disregarding experience. Payet was the star man in the Euros and outside of the Leicester miracle of Vardy, Mahrez and Kante he was many people’s player of the year in the Premier League. Get the cheque book out Arsene! The Ginger Pirlo Blog at WordPress.com.